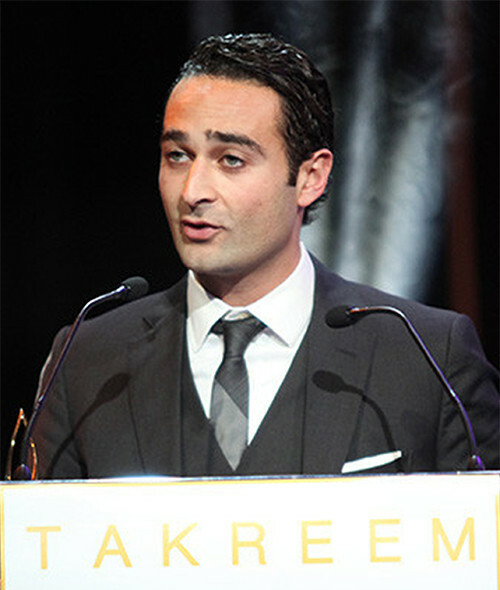 Mr. Khaled Al Sabawi is a Canadian-Palestinian engineer, founder/president of MENA Geothermal and the TABO Initiative. As president of MENA Geothermal, a leading green energy business in the region, Al Sabawi installed the first geothermal systems in Palestine and in the whole region in 2007. MENA Geothermal went on to connect the largest geothermal system in the Middle East at the American University in Madaba, Jordan and to receive the National Energy Globe Award in 2008 and 2011. In late 2010, Al Sabawi became the General Manager of Union Construction and Investment Corporation (UCI), MENA Geothermal parent company and one of the largest real-estate development companies in Palestine. At UCI, Al Sabawi founded the TABO initiative (Arabic for «title deed«) which is the first project dedicated to creating title deeds and property rights in Palestine as a means of protecting Palestinian land. It helps Palestinians from all over the world to own an affordable plot of land in Palestine and registers residential land in the West Bank by viewing and reserving them online. This is in response to land prices increase in Palestine, and to protect against illegal annexation and settlement expansion. Al Sabawi was a speaker at TEDx Ramallah and has lectured at McGill University in Canada as well as Harvard University and MIT in the United States. The son of Palestinian refugees from Gaza, Al Sabawi received his degree in Computer Engineering from the University of Waterloo in Canada in 2006, and later became the first certified Geothermal Engineer in the Middle East. He was named "One of the World’s Top Energy Entrepreneurs" by Global Post in 2010 and was ranked for 2012 the 195th Most Influential Arab by Arabian Business Magazine in its Top 500 Most Influential Arabs ranking.